Teak wood planks/palagai- made of teak wood with prefection on balance and rigidity and varnished. We are highly engaged in offering an exclusive assortment of Teak Wood Planks in the market with the support of our professionals. 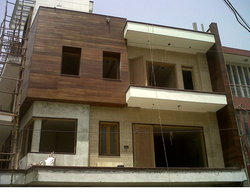 We are offering Wooden Planks to our client. In order to cater to the numerous necessities of the patrons, we have been able to provide a qualitative range of Marine Teak Wood Planks.